ONe Network lets social media users retain full control of their data and privacy with a September 18th main sale token launch. In today’s world, we are our data. ONe Network believes no one should own you but you. So, we’re launching a blockchain-powered social media platform designed to revolutionize the way you talk with friends and family, have intimate discussions, and meet new people. We’ve got the features you already know and love, but the substantial change is that you get to keep control over all your data at all times. To power this new social network, we’re launching our own coin: the Onebit Token (OBT). Going on presale and main sale during a token generating event running July 31, 2018, to October 31, 2018, OBT will be used to power our network, ecosystem, and marketplace. Content creators, as well as users, will be rewarded with OBT during the life of the platform, and there will be multiple ways to spend the tokens or for you to sell digital goods to earn even more tokens. The Onebit Token (OBT) is an ERC20 compliant token that will power the ONe Network and its ecosystem and Marketplace. It will be used within our platform to exchange value between users for digital content, services, and subscriptions within our Marketplace. Users will also be able to tip artists and content creators with the OBT, as well as transfer it between users. 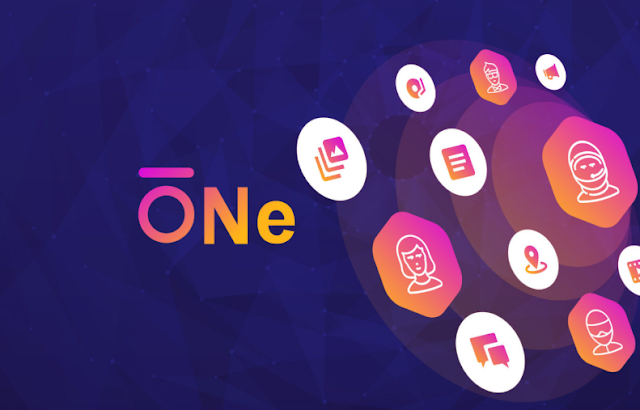 OBT will be rewarded for a variety of functions on the ONe Network, including when users opt-in for advertising on specific areas of the platform. Please note: Onebit tokens will be for exchange of value, payment, rewards and tipping only. OBT will not be a revenue sharing token or have any other function that falls under any security regulations. The Onebit token qualifies as a payment, so our TGE process will include a full KYC check as required by applicable AML laws, as well as other legal requirements. Why a Token Generating Event? ONe believes that a TGE is the most reliable way to generate both funding and awareness of our platform. We are able to capitalize on the cryptocurrency and blockchain focus on data control and use these technologies to boost interest in our offering. It helps us share the good news of a new type of social network where you can control your data. Full information on our TGE can be found on our website here, but some initial information is provided below. We’ve set an ambitious token goal of $2.5M or 10,000,000 OBT from our public presale (July 31 – Aug 31) through our TGE (Sept 18 to Oct 31) and offer a variety of bonuses throughout this process. The sooner you join our efforts, the greater the reward and bonuses are available to you. ONe will use smart contacts for the creation and distribution of OBT. Tokens not sold during the event will be placed in our reserve for the benefit of the ecosystem and to ensure platform health. We’re looking for contributors/customers and interested parties to join us in our TGE because we believe people deserve the secure, private social network they’re asking for but aren’t getting from leading players. “Some of the most popular social networks — we’re not naming names — view the average user or subscriber as the product. We think that’s wrong. At ONe, we believe the end user should always be treated as the customer,” said ONe Founder and CEO John Hoelzer. “That means we don’t and won’t collect or sell data about our users. The OBT will be used to buy and sell goods and services as well as content subscriptions in our marketplace. Initial efforts will target a variety of content creator services where users can pay a small amount of OBT and get access to an existing library of content or an ongoing content stream from their favorite video stars and artists. We’re combining social media with e-commerce capabilities, but in a way that you can have all your data restricted or shared as you please. Digital services, music, arts, entertainment, and even real-world goods will all be supported when our Marketplace launches. ONe has a system to track users and transactions to ensure compliance with local and federal laws – protecting our users and us – but will allow any party to keep their details and the details of their transaction private if they choose. When a purchase takes place, the two individuals’ ONe wallets will process transactions and automatically transfer OBT from one to the other. Transactions will be direct and simple, with blockchain ensuring accuracy and creating an auditable trail of each sale. The marketplace is expected to go live by Q4 2018 with support for mobile devices as well as traditional web to facilitate posting and services. Is This the Future of Social? Today, there are roughly 2.79 billion people on social media. We don’t envision ONe as the platform for everyone, but we do think our evolution and feature set will be a strong guide for the next social 2.0 and 3.0 configurations. ONe will provide consumers with a choice and a way for them to control their information. We build in privacy, so you can do what you please without fear of your data being sold or stolen. Considering recent social events dominating the news, we believe this push for privacy is more relevant than ever. And this isn’t just about hiding from political climates or avoiding surveys that steal your information. It’s also about the real protections that social platforms need to have but are failing to provide. Almost half of young people have experienced threatening, intimidating or abusive messages on social media, pushing some to the verge of suicide in the most extreme cases, according to a survey commissioned by the Children’s Society and YoungMinds. We firmly believe that the privacy controls and content management that you can do on an individual level is the smart next step to safeguarding our present and our future. “ONe has put together this report to set forth a vision on the social blockchain ecosystem that can be created to provide customers with social channels they control. Plus, we’ll set forth a new cryptocurrency paradigm capable of supporting existing coinage, our token, and a marketplace for individual growth,” said Hoelzer.